Ashutosh Gowariker has been recently talking about his next film Mohenjo Daro. The director, critically acclaimed for Lagaan (2001) and Jodhaa Akbar (2008), seems to enjoy making period dramas as his next project will be a love story set in the Indus Valley Civilisation (2500BC). The director recently talked in an interview about his reasons to take on this project. “There was very little [information] on how they lived, what they ate, how they felt. Whatever information is available on the era is minor and superficial. That lack of information about the period troubled me on a subconscious level. I decided whenever I get a story to tell that can be located in those times, I’d grab the opportunity,” he said. Hrithik Roshan, the actor who brought to life the most famous Mughal emperor, will team up again with the director. The actor of Krrish series has accepted the lead role in the film after he step out of Shuddhi. “He had a major chunk of dates allotted to Karan Johar’s Shuddhi. 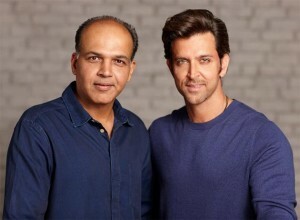 However, since he decided to opt out of it, we decided to begin work on my film,” Gowariker told TOI. The actor chose Twitter to confirm his participation in the project: “I used 2hate history! But I love d way this man writes it! Don’t hate history, create it!! Happy 2say ‘We’r BACK!’” he tweeted on Saturday. Although Hrithik’s involvement is confirmed, the director is still looking for the lead actress. Rumours say than top actresses such as Kareena Kapoor, Priyanka Chopra and Katrina Kaif have shown their interest for the role, but the director has not made a decision yet. It was also reported that Sonakshi Sinha competed for the film, but the director rejected the rumour in a recent interview. “I don’t know how a section of the media came to that conclusion,” he replied when asked if Sonakshi was the actress chosen for the film. The film is already in the pre-production phase, and the filming is scheduled to start towards the end of the year. Follow Bollyspice to know all the news about Mohenjo Daro! 17 queries in 1.052 seconds.